What would peace in Nagorno-Karabakh look like? The recent increase in meetings—both formal and informal—between Armenia and Azerbaijan to discuss the decades long Nagorno-Karabakh conflict have left many optimistic. During a recent meeting, Armenian foreign minister, Zohrab Mnatsakanyan, and his Azeri counterpart, Elmar Mammadyarov spoke about the possibility of “prepar[ing] populations for peace”; leading the OSCE’s Minsk group to release the most hopeful and positive press release on the matter in a very long time. [i] In fact, since the Armenia “Velvet Revolution” of 2018, which led to a change in government, there has been an increase in meetings between both sides signifying a renewed commitment towards peace. [ii] These developments have left me with one big question—What would peace actually look like? It is truly difficult to say what definitive peace between the two sides would look like, and it is not my expertise to even speculate. Instead, with this blog I want to explore what peace would look like for me. More specifically, how the end to this conflict could lead to demilitarization and as a result benefit vulnerable populations in Armenia and Nagorno-Karabakh facing a myriad of social and economic issues—that for me is what peace could look like. 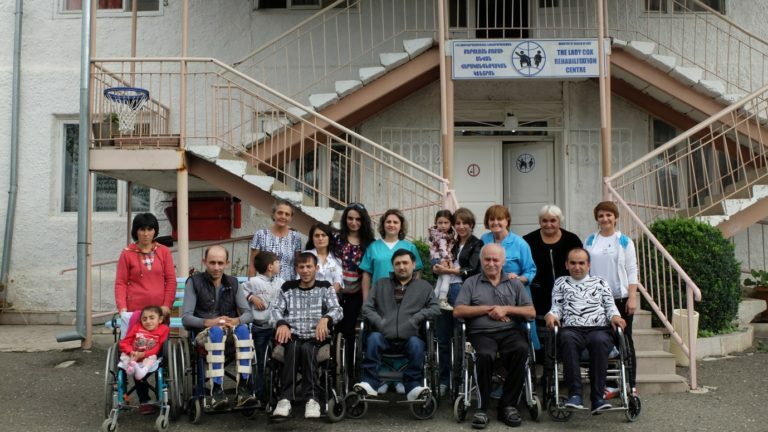 Photo taken at the Lady Cox Rehabilitation centre in Nagorno-Karabakh. Disability is highly stigmatised in the region making the work the centre does groundbreaking and crucial for the people in NK. For me peace and the demilitarization of Armenian society are mutually exclusive. Once there is demilitarization, time and energy should be directed towards improving the social and economic conditions that many Armenians live in. This could include providing more resources for marginalized groups, such as those living in poverty, or for women, who are victims of domestic violence fleeing life threatening situations which leave them economically vulnerable. 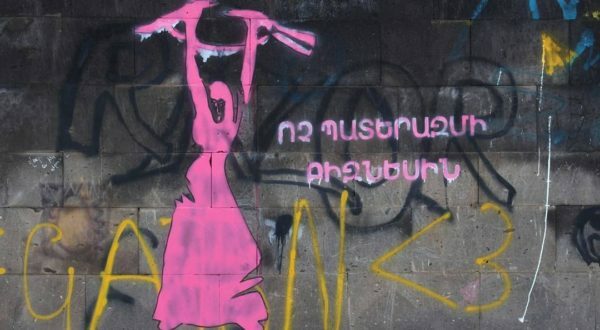 For some social and economic hardship is directly connected to the Nagorno-Karabakh conflict. Many were physically disabled as a direct result of it, and others were left with lifelong poor mental health as a result of living in a conflict area. [xiii] In any case leaving them highly vulnerable socially (as disability is highly stigmatized in Armenian society) and rendering them unable to work to provide economically. For others, the Nagorno-Karabakh conflict has left land unusable due to dangerous landmines, which they could have used for agriculture, creating yet another source of economic hardship. Peace would see resources directed towards improving lives. 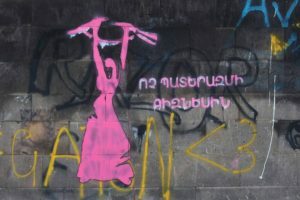 Ultimately, I believe that peace between Armenia and Azerbaijan, and peace in Nagorno-Karabakh, would lead to the demilitarization of Armenian society, shifting priorities away from the military and defense, and end the notion that value is placed on people in relation to their usefulness for the military and defense. Peace would not only mean a society free of war and conflict, but one of equality, equity, and fairness for all. Areni is currently working as a campaigns and research intern at HART. 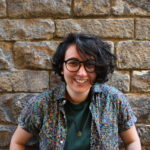 She has a Masters degree in Gender Studies and Law from SOAS- University of London and has an interest in human rights law, humanitarian work, and advocacy.